Alexandre Dubor is an architect and researcher combining new technologies in an attempt to improve how we build and live in our cities. 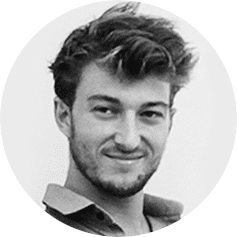 He holds a Master degree of Architecture & Engineering from EAVT & ENPC (France) and a Master Degree in Advanced Architecture from IAAC (Spain), with a specialization in robotic fabrication and large-scale additive manufacturing (FabBot 3.0). He holds as well a French architectural licence (HMONP) and has worked in various architectural offices from competition stage to delivery (Libeskind, Atenastudio, iDonati, AREP) while exploring the potential of scripting and coding in a separate practice (Collectif277). Since 2012, he is working at IAAC as an expert in digital and robotic fabrication. He is now leading the Open Thesis Fabrication programme as well as the Master in Robotic and Advanced Construction at IAAC. Together with IAAC staff, students and industrial partners, he is investigating how new advances in material, digital fabrication and computational design could lead to a better construction ecosystem, towards a more efficient, affordable, sustainable and personalised built environment.